With 55% reporting in Scotty is holding at #3 for this week, overall in all genres. The great news about this, is Scotty will maintain the number one COUNTRY album for a 3rd week straight. WAY TO GO SCOTTY!! We'll keep you posted on final numbers when they come in. Reba McEntire, the Renaissance woman whose mountain of career credits include top-rated performances on Broadway, TV and arena tours — and, of course, top charting recordings — understands the difficulties new performers face. Perhaps that’s why her advice to and support of music newcomer Scotty McCreey is so heartfelt. 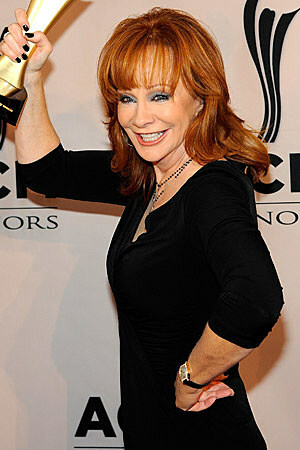 In a way, McEntire faced a similar challenge recently when she selected her concert set list from her own extensive catalogue. Scotty McCreery Working on Christmas Songs?? Scotty and "his boys" were on twitter last night playing a travel game with their followers! Everyone had a good time trying to figure it out - our own Tarah here at Fans Of Scotty figured it out, pretty quickly, I might add! Scotty & his family are very good about interacting with fans on twitter & the fans just love it! Im hitting the hay tho. Another day of school tmrrw. Working a bunch of songs coming up for the holidays! Cant wait for yall to hear! Scotty McCreery Are You Voting?? 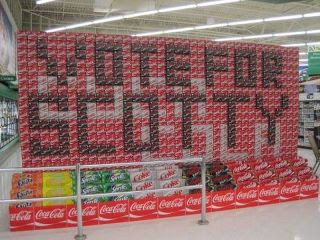 I just wanted to post this picture to remind everyone to VOTE for Scotty! Scotty McCreery Are You The Ultimate Fan? Hailey had posted this previously but I wanted to post it again in case someone might have missed it. The Grand Prize is a trip for 2 to a concert & a M & G with Scotty, plus more! December 1st is the deadline to enter! Scotty wants to know if you're the ultimate country fan! For a chance to win enter below, winners recieve the Ultimate Country Fan gift!